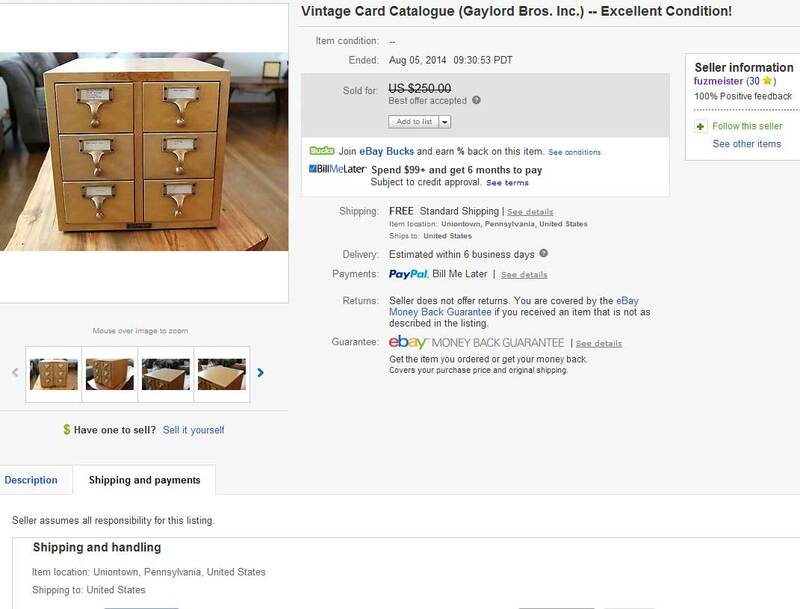 This page created to highlight and document the piss poor and incompetent packing job performed by Ebay seller Fuzmeister on a simple Library Card Catalog Cabinet with only 6 drawers. 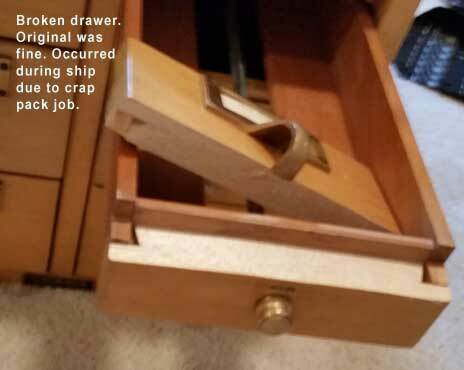 Until Fuzmeister packed this for shipment, the cabinet lasted in very nice shape nearly 100 years. Free shipping likely means crap shipping. Ebay forces a FIVE STAR rating automatically on feedback on "Free Shipping" Items!! 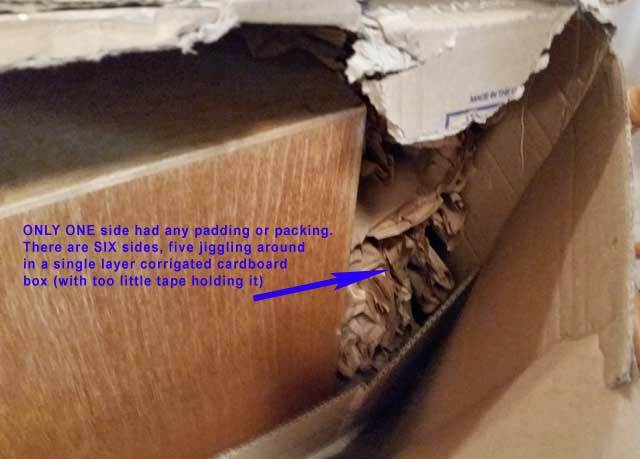 That allows lazy, incompetent sellers-shippers to avoid negative feedback. 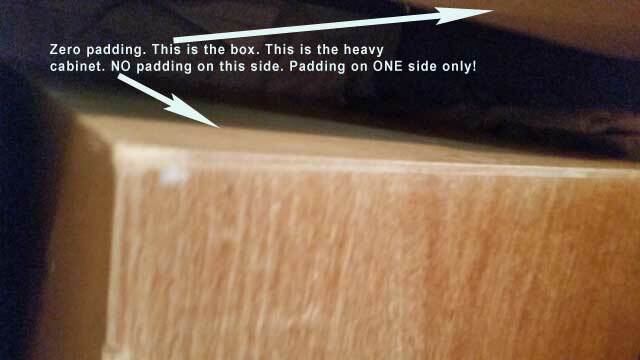 The object is fairly heavy so shipper MUST anticipate that the box will not be handled very carefully and even if it is, it will need to be padded and filled very well to survive even normal handling. Of six sides ONLY ONE side had ANY padding. Five sides had NO padding or fill (just air) so unit would shift around during transit. 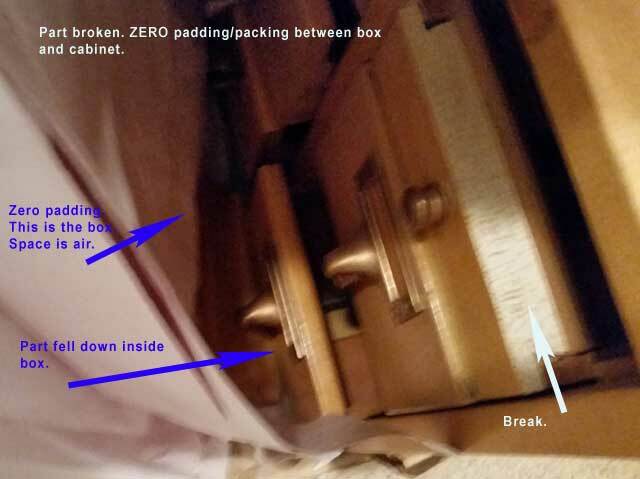 Packing material SHOULD have been placed on the side needing protection-- the drawer fronts. 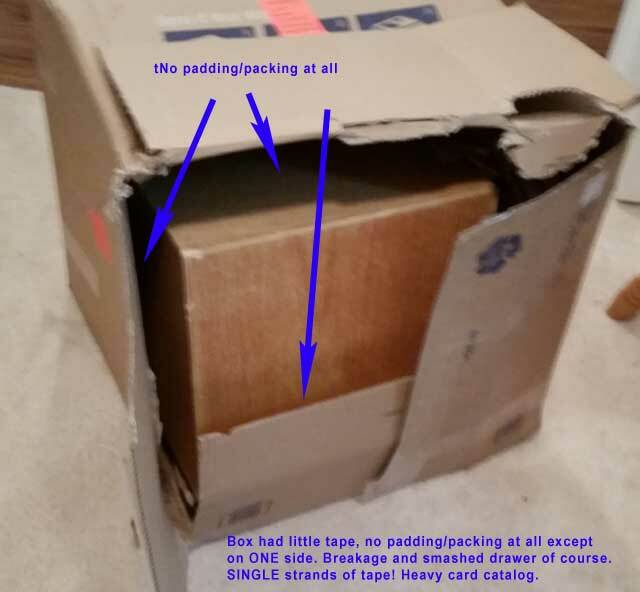 Since it was sent USPS, it should be expected to get some rough handling. A LOT of packing, bubble pack, newspaper, or packing peanuts were needed on ALL sides. Heavy, multiple layers of tape were needed to ensure the case stays intact. It's noteworthy that another very similar item was purchased at the same time and both arrived on the same day. The other one was packed extremely well and arrived perfect. 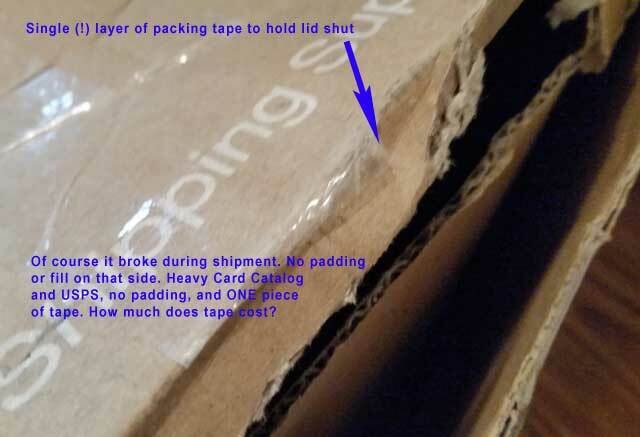 It cost nearly $50 for shipping. 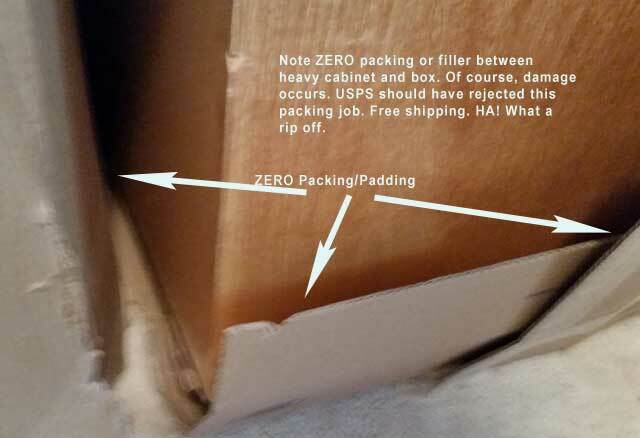 I get that you get what you pay for, but it's extremely misleading and IMHO dishonest to say "free shipping" but mean, "very cheap, sloppy, incompetent, and inadequate" packing.